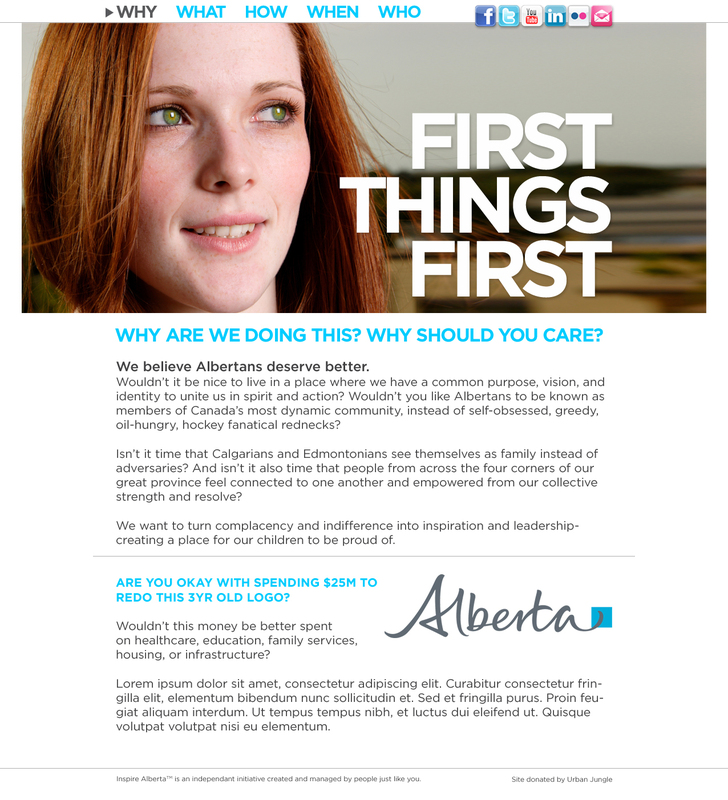 A Grassroots Initiative to Create Positive Change in Alberta . 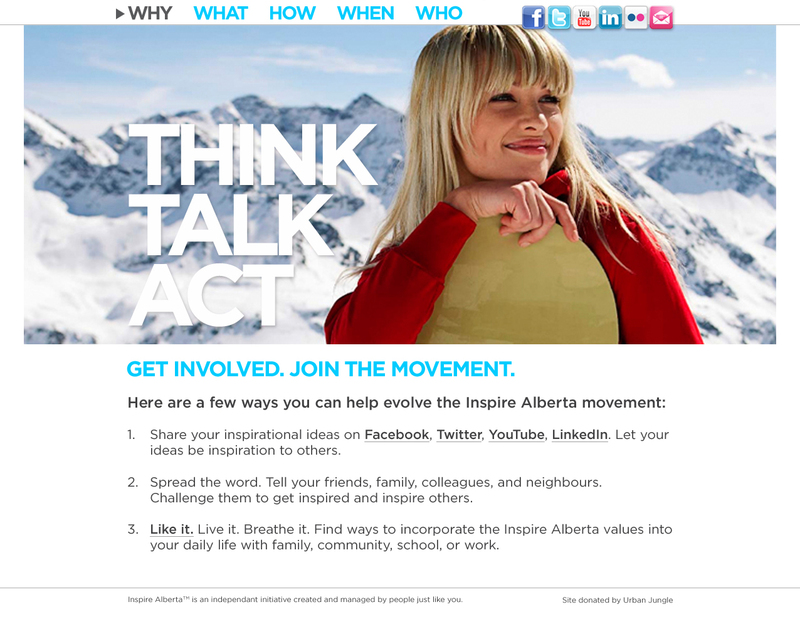 Shortly after the 2012 Alberta election, Urban Jungle founder, Craig Blackburn launched a grassroots initiative with the main objective to create positive change in Alberta. 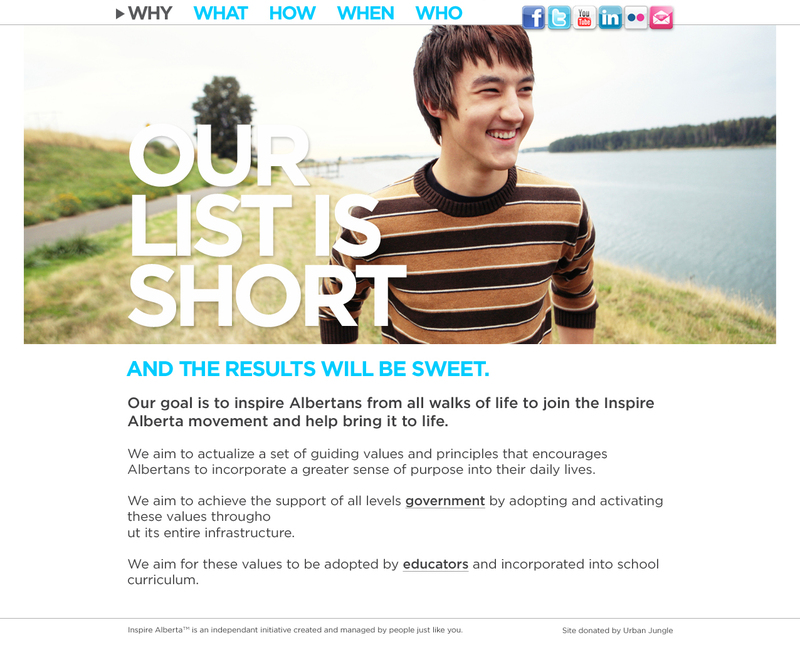 Inspire Alberta aims to create and activate a mission and basic set of core values with the intent to guide the Alberta government’s leaders , foster accountability, and motivate Albertans to discover and achieve their greater sense of purpose—strengthening the province through shared values and meaningful actions.